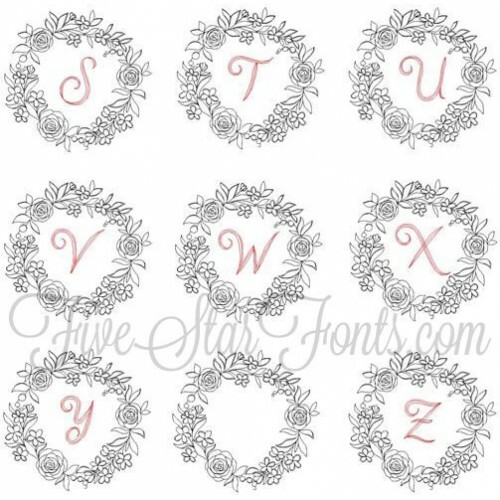 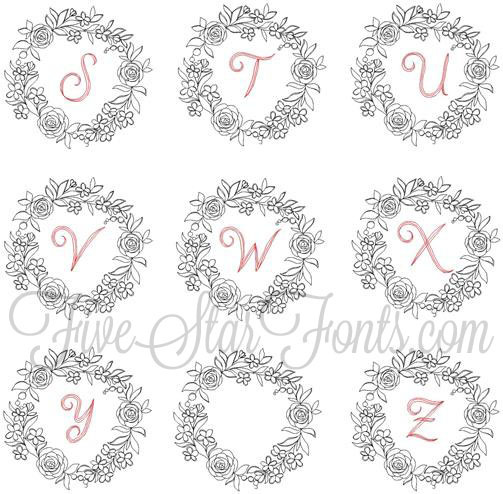 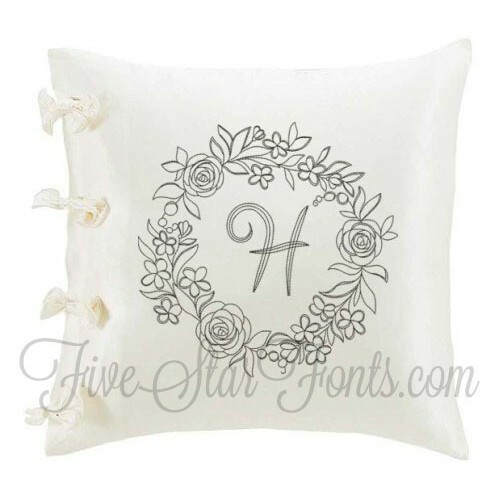 The pretty delicate floral frame also features a delicate monogram letter. 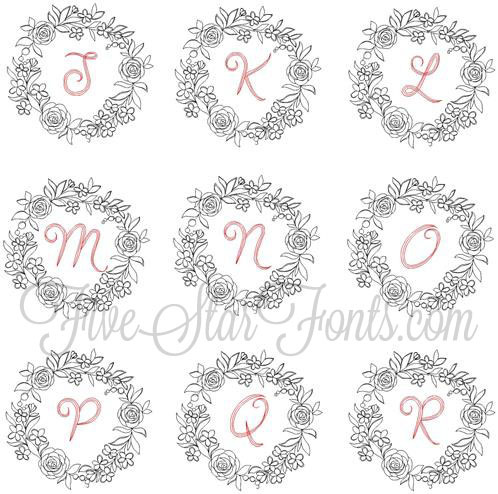 No jump stitches in these monograms! You can choose a different color thread to stitch the monogram if you prefer. 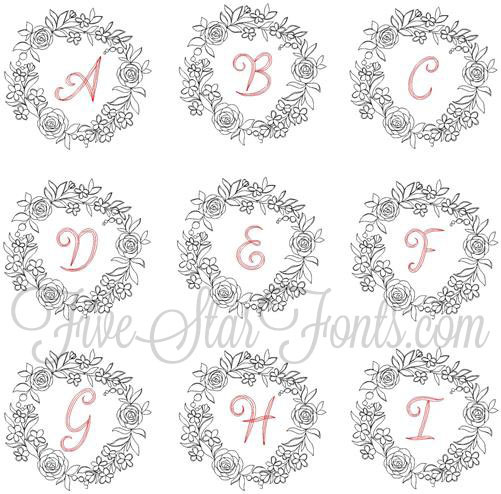 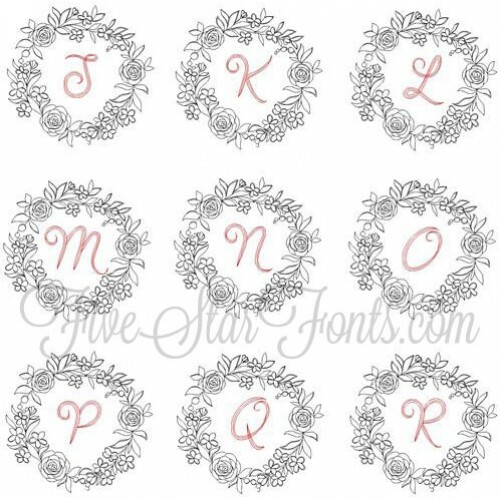 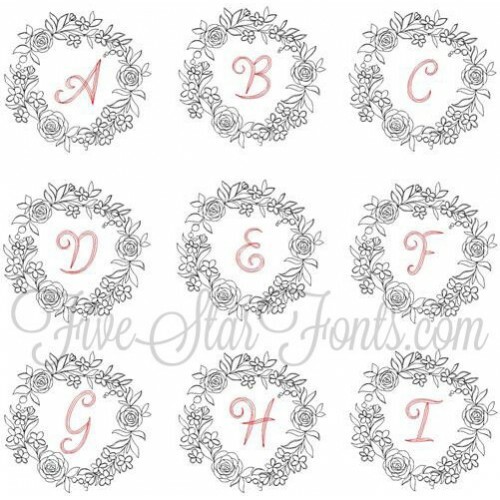 We also include a BLANK so you can add your own monogram with your software, if you prefer.